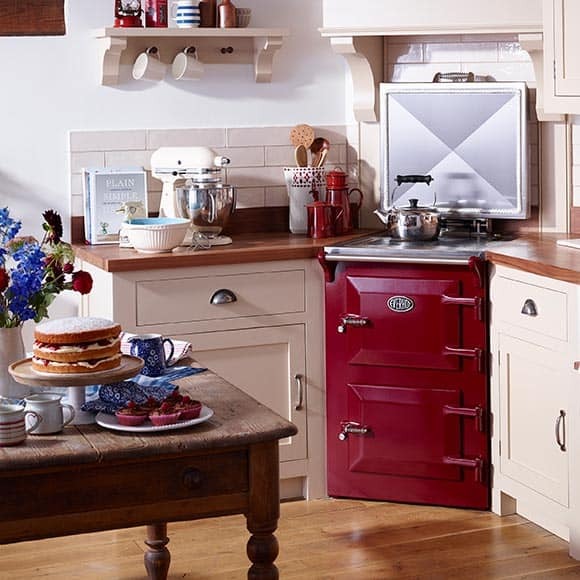 Everhot have a selection of range cookers to suit any kitchen no matter how large or small. Everhot 60 has an enduring and broad appeal which is especially popular for homes where space is at a premium. Yes it is small, but it’s also perfectly formed, and it comes packed with features. 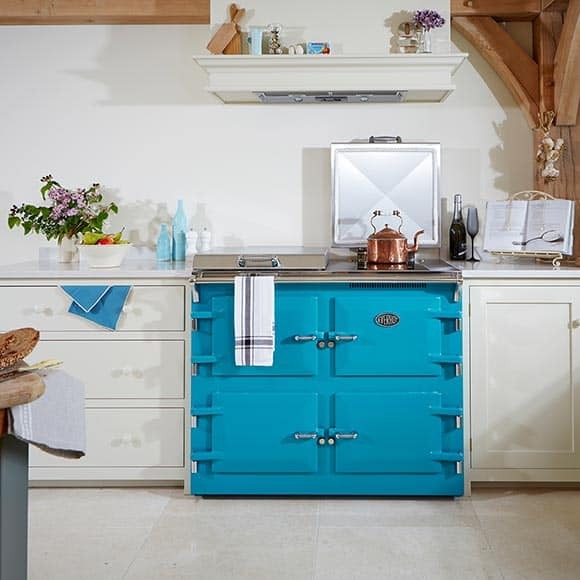 The Everhot 90+ is a beautifully designed and elegantly proportioned for the modern kitchen. This cooker benefits from an additional cast iron hot & simmer plate conveniently located under a second stainless steel lid. 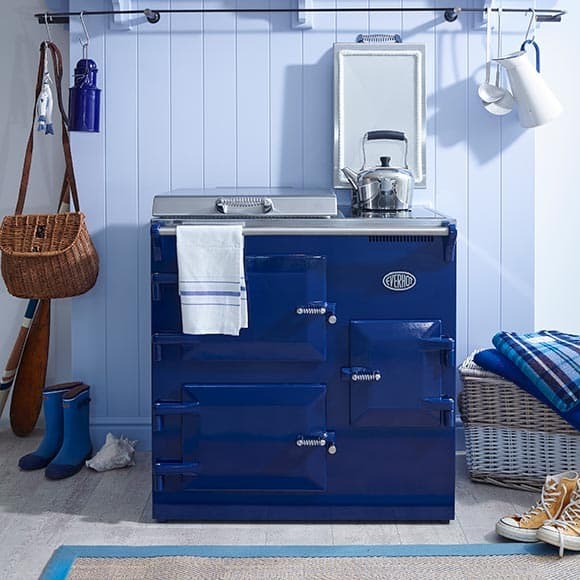 This gives the cooker a beautifully balanced look and provides useful additional cooking space. The Everhot 90i has an integral two zone induction hob, neatly fitted under the right hand lid. With two good sized ovens and cast iron hot and simmer plates. 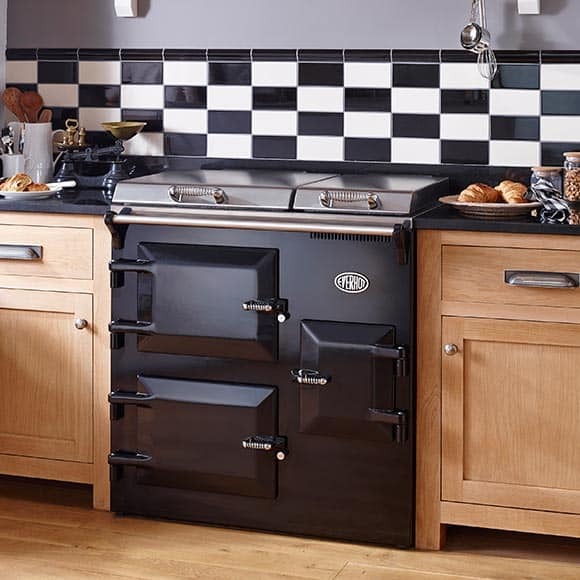 The width makes these cookers the ideal replacement for traditional ranges, often built to this size. There’s much to love about the beautifully engineered and elegant Everhot 100 Series. With three good sized ovens and cast iron hot & simmer plates, with additional simmer plate on the side. The Everhot 100i has a two zone induction hob fitted under the second lid. The Everhot 100i has cast iron hot & simmer plates. It has three good sized ovens, with the warming oven behind the bottom right hand door. The Everhot 110+ offers a classic configuration of cast iron hot & simmer plates under separate lids, both which are independently controllable. 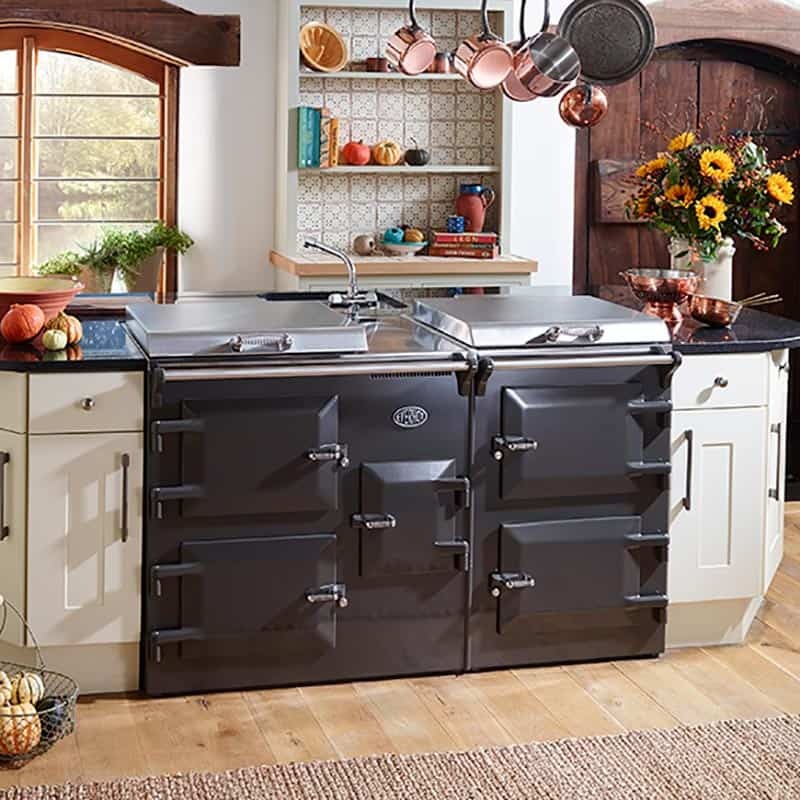 This cooker has three good size ovens; Ideal for those customers who like roasting, baking and slow cooking. The fourth door provides access to the control panel. 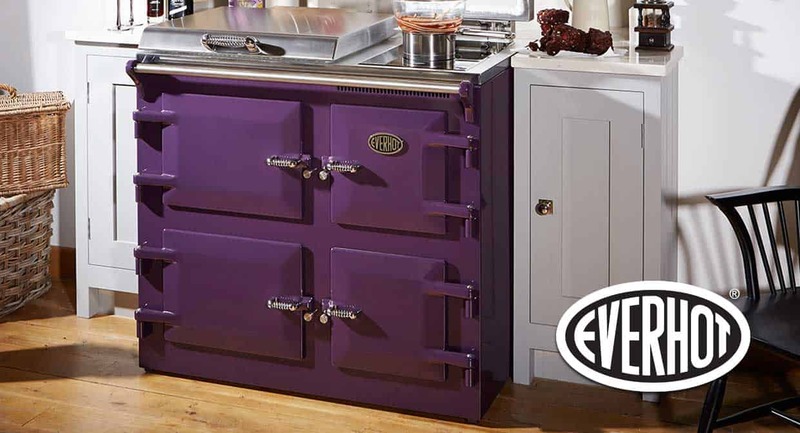 The Everhot 110i offers a classic configuration of cast iron hot & simmer plate under the left hand lid. 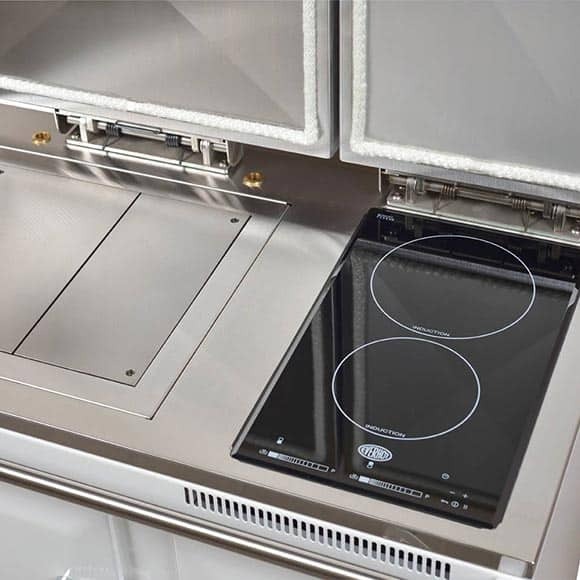 It also has a integrated two hob induction zone under the right hand lid. This cooker has three good size ovens. The Everhot 120 performs superbly, both providing versatile cooking and kitchen warmth. 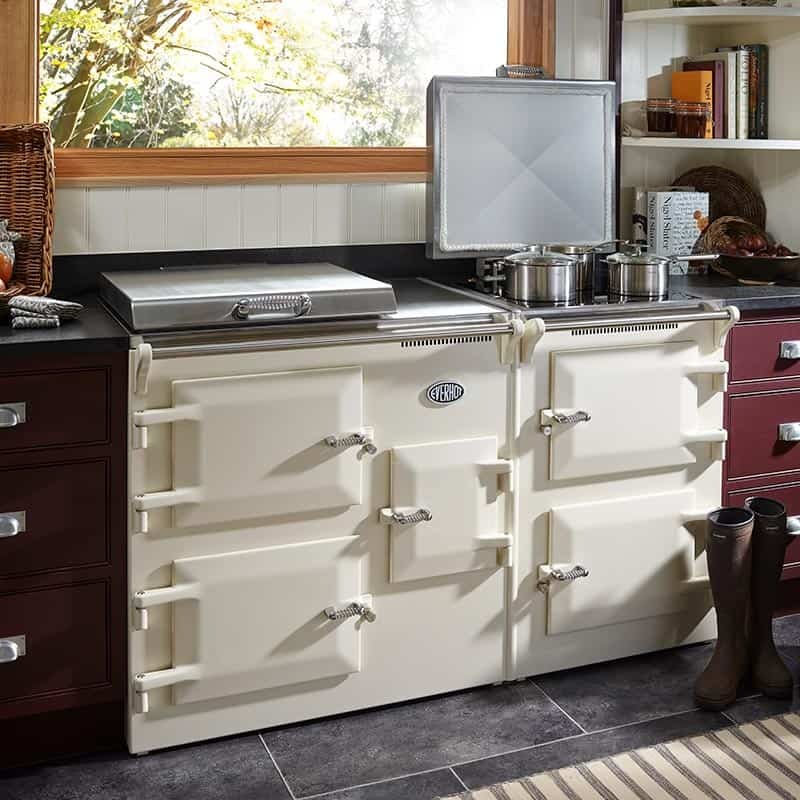 It has four large ovens meaning the user could have cakes in one oven, roast vegetables in another, a joint in the third and warming plates in the fourth. The Everhot 120i performs well, both providing versatile cooking and kitchen warmth. 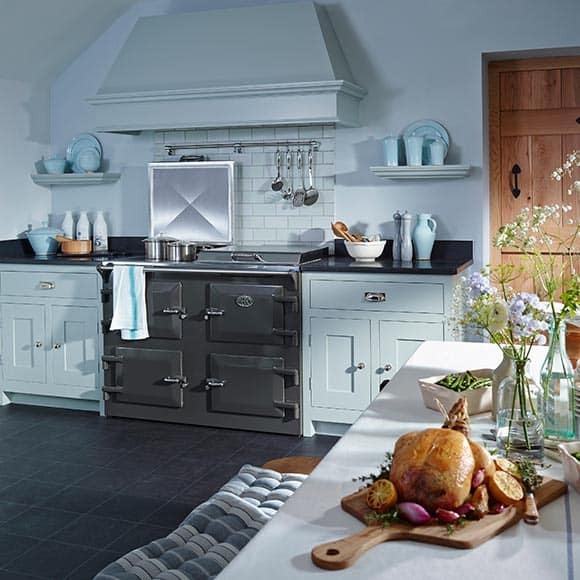 It has three large ovens, classic hot & simmer plate and a induction hob with three zones. 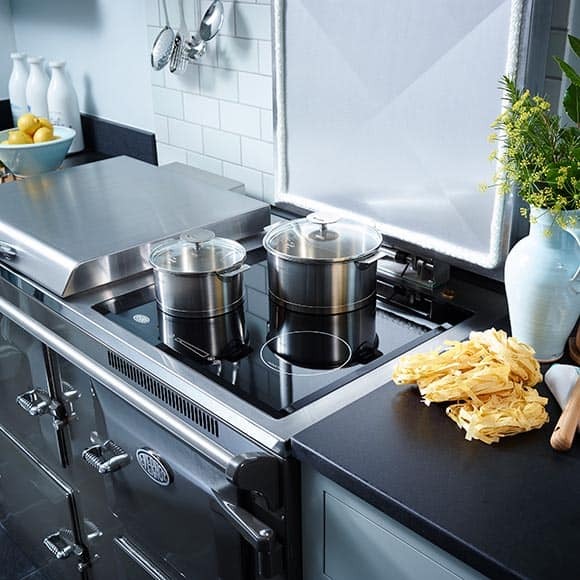 The induction hob zones are good for the warmer months with the option to not have constant heat. The Everhot 150 is great for entertaining large groups of people. Four large ovens with two full length grills. 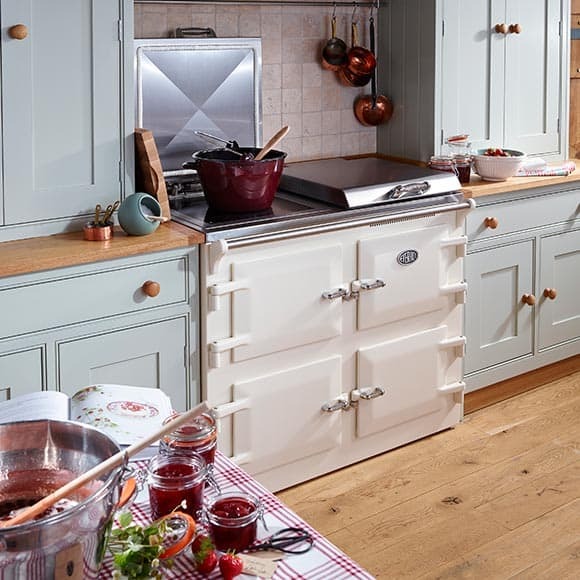 Every part of this beautiful appliance can be easily adjusted to suit the users cooking and heating requirements. The Everhot 150i controls fit nicely behind the centre door. The touch screen induction hob fits neatly underneath the right hand lid. 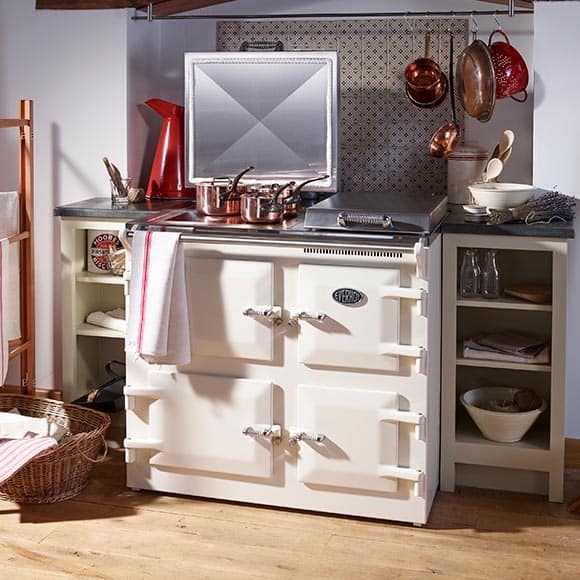 Every part of this beautiful appliance can be easily adjusted to suit the users cooking and heating requirements.